MCRS Hoppy Hours help fund our work in education and adoption! 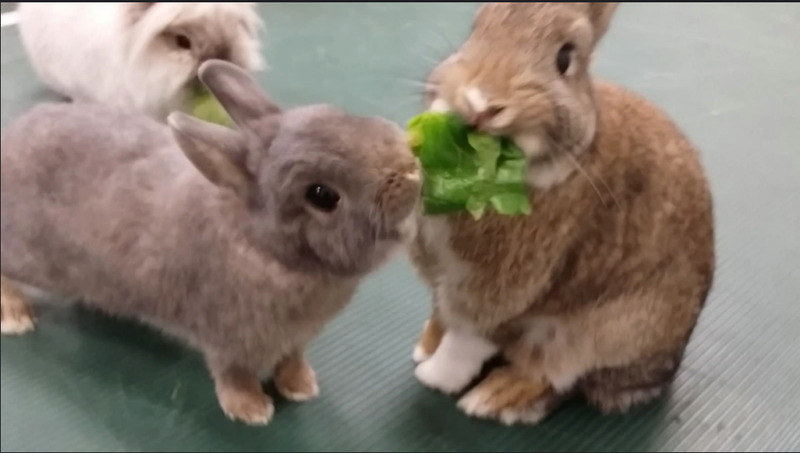 They are a great opportunity to exercise and socialize your Rabbit, while connecting with other Rabbit owners and MCRS volunteers. 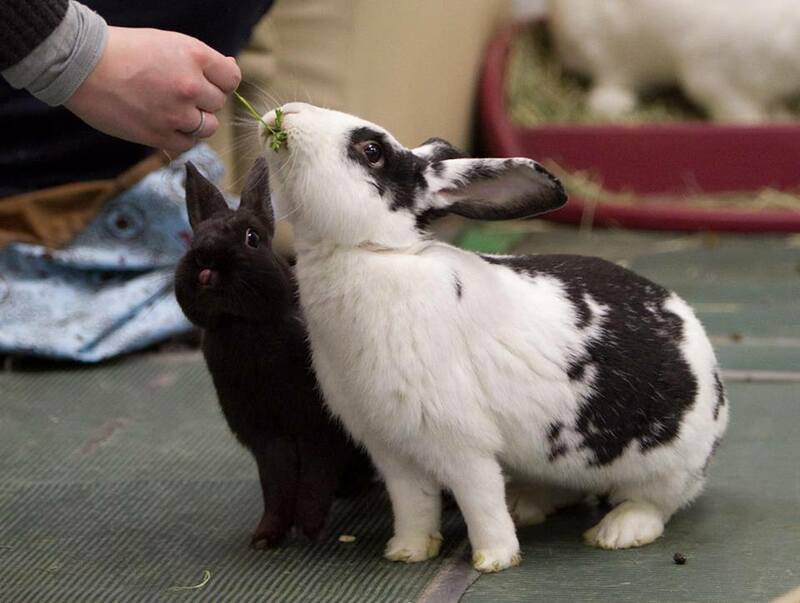 Bring your rabbit or rabbits for some social time with other bunnies at any of our three Hoppy Hour locations. You are sure to have a great time watching all the bunnies and talking with other bunny lovers. It’s a time to hang out and enjoy the cuteness of bunnies at play. All are welcome, Hoppy Hours are open to the public and good for all ages. Please read the Hoppy Hour Guidelines prior to attending. If you haven’t been to the SSP location, you must RSVP in order to get directions to attend. To RSVP email, info@MNCompanionRabbit.org. This is a one-hour event which is hosted by MCRS at Animal Humane Society every other Sunday. Every other Friday from 5:00 to 6:00 p.m. at Urban Tails Pet Supply (2106 Lyndale Ave S, Minneapolis, MN 55405). Please help us to ensure that all rabbits attending Hoppy Hour arrive home safely. There have been several confusions recently and we need to do our best to prevent them or if they happen to correct them quickly. During Hoppy Hour or when you are preparing to leave please keep your carrier door closed until you are ready to put your rabbit inside. Check carefully to be sure another rabbit has not stowed away . If your rabbit is a common color or there are others who resemble it please mark it before you come. A collar or bow or a painted claw will ensure that the rabbit you take home is your own. Should you get home from Hoppy Hour and believe you may have a mix up or a stow-away that is not yours please immediately return to the Hoppy Hour location. At Golden Valley the clean up team is always there until 4:30 – 5:00. One of the purposes of the sign-in sheet details is that we know who attended that day and can hopefully return all rabbits to their own homes quickly.